Necessity, they say, is the mother of invention. And so this dish was born, out of necessity, last week when we returned home from a road trip with two very hungry children and a kitchen that was nearly void of food. I have a tendency to plan these last minute road trips and just barely squeeze them into the time when the children are off of school. 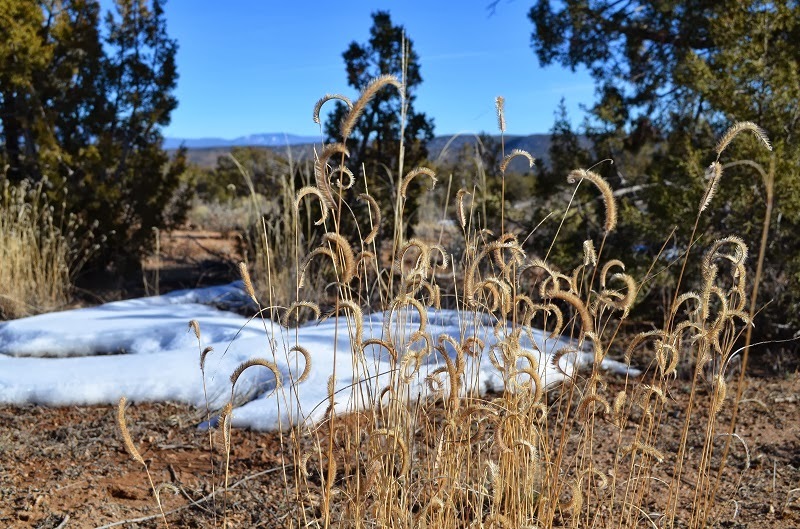 So last week, during the final days of winter break, we packed up the car and headed south to Santa Fe, New Mexico, about six hours away. Just doable with two small children, as long as there are plenty of breaks and a good, long picnic halfway through. 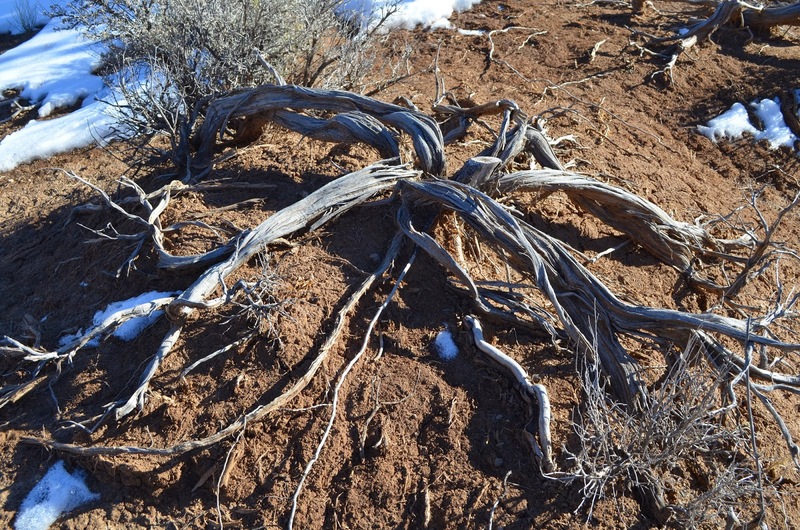 In winter, New Mexico is magical. Most people imagine that it's hot, but in the high mountains it has the feel of a ghostly winter wonderland. The red rocks of the mesas glow brilliantly in the setting sun, as if lit from within. 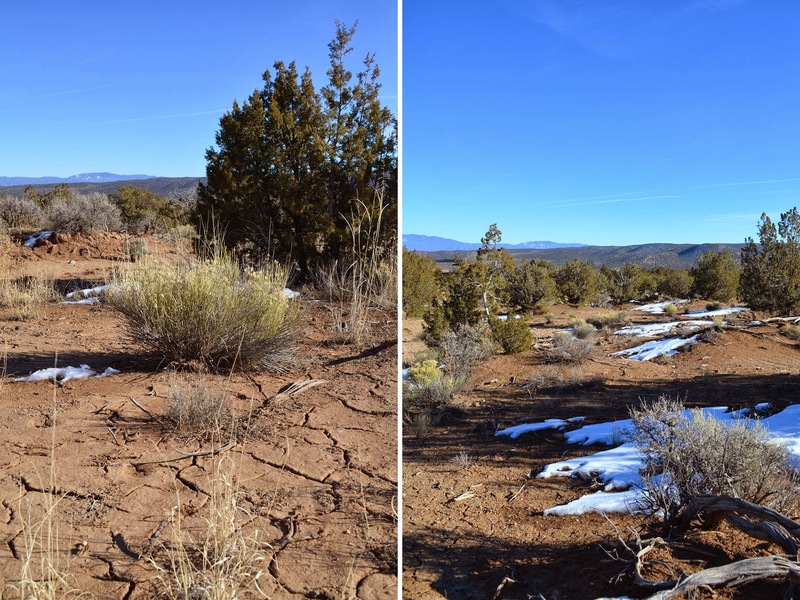 The heady smell of piñon smoke settles in the valleys, and patches of untouched snow shimmer like a thousand lakes on the dessert floor. I written about New Mexico many times. As you may know, my mother's side of the family is from there, and I spent so much time there as a child it always feels like home. I go to New Mexico when I need to escape. Last week our escape was cut short when a ominous snow storm started moving into Colorado. Having absolutely no desire to drive the steep mountain passes back home in a raging snow storm, we left after dinner one evening, planning to drive through the night. Hoping to beat the storm home, I felt like one of two speeding freight trains destined for a head-on collision. As we charged north, the wall of ice and snow steadily moved south. It was inevitable; a collision was going to occur. It was just a question of when, and how far would we be from home? So it is with road trips in January. Always unpredictable, though I guess that's what makes them interesting. The clear night sky gradually started filling with clouds and the wind blew in such powerful gusts that the car rocked and swayed as we flew down the highway. The collision happened just after 3 a.m. as we pulled off the highway and onto the back roads toward home. A few stray snowflakes quickly multiplied into a whirling storm that rivaled the inside of a snow globe when shaken by a 3 year old. But we made it home, so let it snow. By 9:00 in the morning we were snowed in and I had the insatiable urge to cook something celebratory for the occasion. When I opened the fridge, however, the shelves were bare but for a few eggs, a wee sliver of Monterey Jack cheese, and some Christmas leftovers that I'd forgotten to throw away before leaving. The pantry didn't fare much better - a couple tins of tomatoes and sardines, the last remnants of a few assorted pastas held together with a big rubber band, one sad looking onion, and the random odds and ends of various crackers and cookies. However, where there's a will, there's a way, and I channeled the spirit of my grandmother, who could quite literally make something out of nothing, as I rummaged through the cupboards. 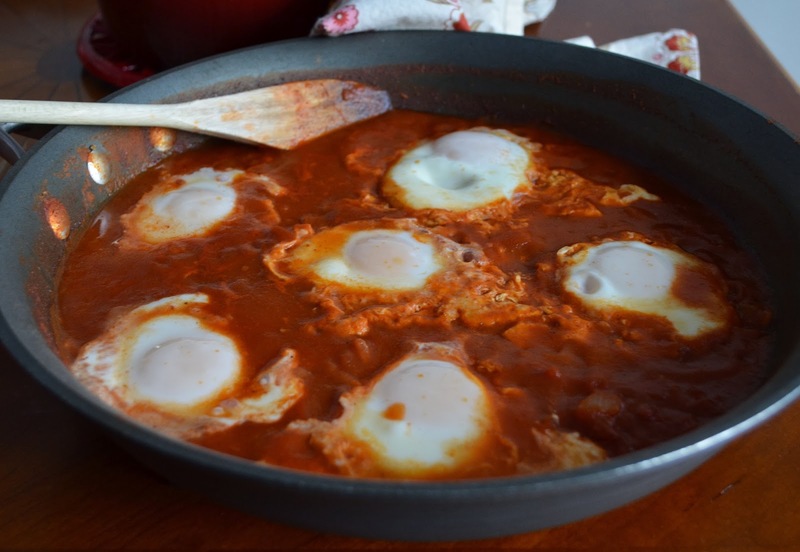 Driven by necessity - I had two hungry kids who'd spent the night buckled crookedly into the car and were quite grouchy - I immediately started dreaming of Shakshuka, Moroccan poached eggs in a spicy tomato sauce... with a New Mexican twist. 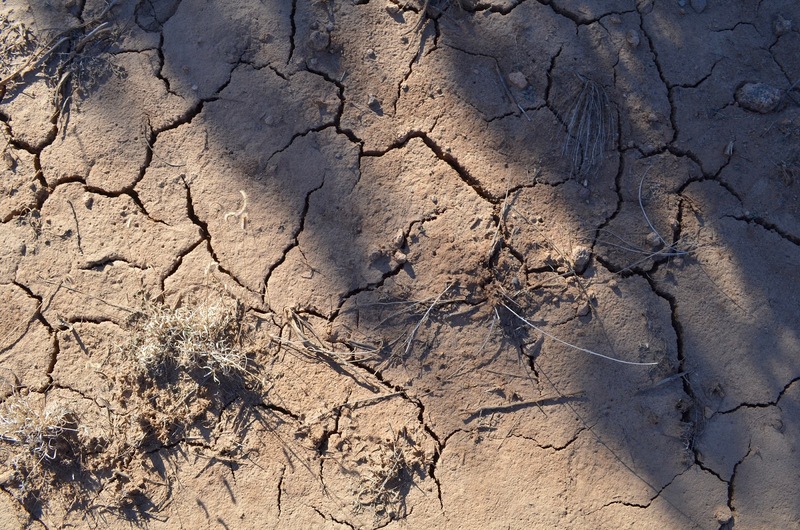 Looking for more recipes from New Mexico? Check out this Santa Fe Green Chile Stew, or you might like this warm Tortilla Soup, or perhaps Posole is your thing. I'm convinced that some of the best food comes from New Mexico. In a heavy, lidded sauce pan, bring the water, rice and a pinch of salt to a boil. Turn the heat to low and cover tightly. Cook for 45 minutes, or until all the water is absorbed and the rice is tender. Meanwhile, in a large skillet, cook the onion and garlic in the oil until soft. Add a pinch of salt to keep the onions from burning. Stir in the tomatoes. Swish the cans out with the water and stir this in as well. Stir in all the spices, and bring to a simmer. Cover and cook 15 - 20 minutes. By this time the sauce should be fairly thick. Taste it for seasoning and add salt or pepper if needed. Working with one egg at a time, crack it into a small bowl. Make a shallow well in the sauce and carefully slide the egg into the well. Repeat with the remaining eggs. Cover the pan and cook 5 - 8 minutes longer, or until the eggs are poached to your liking. When the rice is cooked, drizzle it with a little extra virgin olive oil and fluff with a fork. To serve, place a large spoonful of rice on the plate and top with one or two eggs and a generous dollop of sauce. Garnish with the grated cheese. I've always wanted to take a vacation in New Mexico. I drove through it once on my way to California, but it's such a beautiful state that I really would like to explore more of it. Glad you made it back safely to Colorado. 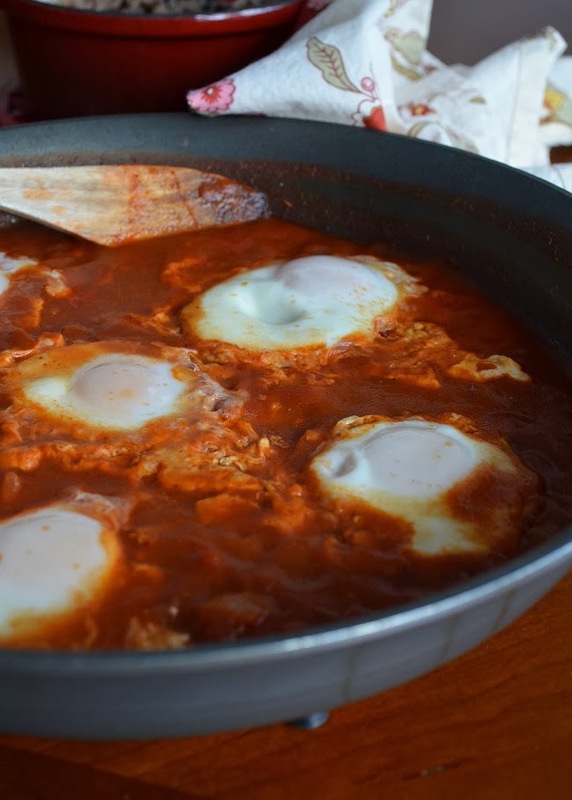 The Shakshuka looks so delicious -- a perfect warming meal for a snow day!